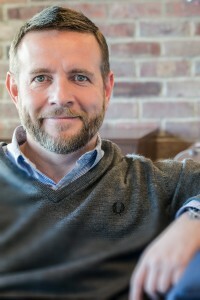 Simon Ward established Inspired Thinking Group (ITG) in 2009. Through delivering exceptional marketing services and the development of its innovative Media Centre marketing resource management platform, the company soon attracted major brand and retail clients, including M&S, Audi, PUMA, Boots, KFC and Heineken. ITG now employs over 600 people at its Fort Dunlop headquarters, Dartford technology centre and at various client offices. Simon has played a pivotal role in the company’s growth, managing the business and securing investment for expansion and acquisitions. He is currently leading ITG’s expansion into the USA. Prior to forming ITG, Simon Ward was co-founder and CEO of SP Group and commercial CEO of St Ives Group. Read more about Simon on his blog.